I am twenty six years old and quite often, I forget that. Because a) nearly everyone tells me I don't look my age and b) being the youngest member of the family, I have never actually felt like an adult. Even though I was excited about turning eighteen, it didn't feel any different than being thirteen years old. I also realized a horrifying truth over the last few years: no one can teach you how to adult. You've to figure that out for yourself. 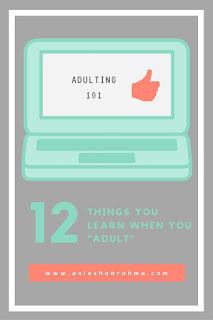 And here are twelve things I have learned the hard way about being an adult. 1.Grocery shopping is important. The fridge won't magically fill itself. Eating out every day isn't healthy either. No matter how much you might hate going out to shop for food, it’s necessary. Eating out all the time is a rather poor life choice. If you never learned how to cook now is the best time to start. Especially if live alone. Thanks to YouTube it is pretty easy to learn how to make quick and healthy meals. And once you begin cooking, you’ll realise that you need to go grocery shopping. At least twice a month if you are buying all the food group products that you need to consume! 2.Waking up early in the morning is better than pulling all nighters. 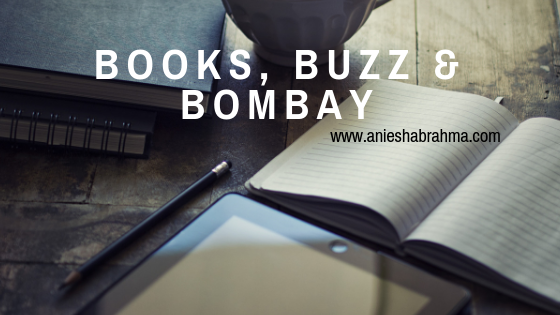 It might seem like a lot of fun to pull all nighters to get work done or to finish the book you recently picked up. My advice is: don’t do it. You’ll just feel tired and groggy the next day, and wake up a little too late and hate your life. Instead go to bed at a reasonable hour and wake up early. Getting up early actually stretches out the morning and you can get more work done. Because after a good night’s sleep, you will feel equipped to handle just about any amount of work that needs to be completed. And you can even get some reading done. 3.Staying inside on some of the weekends is far better than going out to party every single time. It may be tempting to go out and socialize on every single weekend, but the adult in you would tell you not to do it. Sometimes you don’t even realise how much ‘me’ time you have been secretly craving until you unplug the computer, put your phone on silent and just lie down. Partying all weekend would mean going back to work on Monday, drained out and tired. So why not just give yourself a break and take the time out to recharge your batteries? 4.Saving for the future as soon you land your first job is a wise decision. It could be the very first real job for you or it could be the third thing you’re trying but it is very important to begin saving the minute to begin earning. All the talk of saving when your earning is a little more steady will actually get you nowhere. It doesn’t have to be a large amount either. Just make sure you have enough money saved up in case there suddenly is an emergency. Since we live in a crazy world where anything could happen, why not be prepared for it? 5.Beginning to understand a caring friend is a thousand times better than a careless lover. The adult in you is tired of playing mind games and interpreting mixed signals from guys. You crave meaningful relationships now. It has become more important to sit back and talk about the day with a few close friends, than to talk to some guy who is busy playing hard to get. The only relationships you’re interested in right now are the ones that are good and healthy for you. 6.Using a planner and making to do lists saves a lot of time. We all have jobs to keep and a thousand and one household work to do as well. It helps to make to do lists the night before for the next day. There’s an odd sense of satisfaction checking off the items from the list once those are completed. You could even try making to do lists for the week or even a month. 7.Once in awhile, it’s okay to indulge yourself. You work hard and you deserve a break every once in awhile. So buy that cute dress, or the nice pair of shoes. Go out to dinner to that expensive place that you’ve been avoiding like plague. It really is okay to indulge yourself once in awhile. And don’t feel guilty about it. That wouldn’t be very adult of you. 8.Panicking about which direction life is headed and calming down once you realise you're on your way there. It’s perfectly normal to have panic attacks when you’re thinking about your journey in life. Try not to get too wrapped up in those thoughts. Because sometimes it’s like going down a rabbit hole. Relax, breathe. Always remind yourself you have come a long way from where you were. As adults, we can actually make ourselves stop worrying because we’ve learned to reason with ourselves. 9.Spending more time with people than on apps and the virtual world. While social media plays a rather large role in our lives, it would help to keep that part of your life separate from the real one. 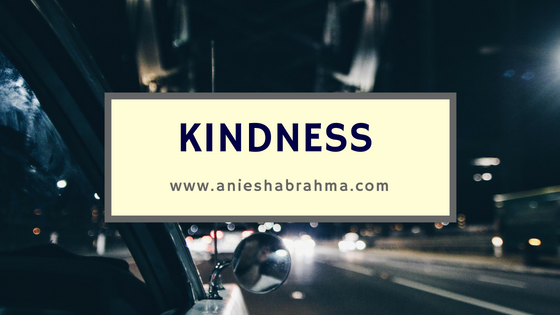 No matter how many likes you might get on your latest Insta post or how many retweets you might get from total strangers on twitter, make an effort to be in touch with the real people in your lives. Because in a few years when life begins to slow down, you’ll need them just as much as they’ll need you. Don’t cut off people who will be with you forever for the sake of things that offer instant gratification. The adult in us would always tell us that. 10.Taking risks. Because life cannot be a list of regrets. When we were children we could be anything and we could do anything. What was it that you really, really wanted as a child? Do you still want to do that? Then get on our way of doing it. Part of being an adult is also making sure your dreams don’t die. Life should be a series of adventures not a list of regrets. No matter what it is that you always wanted to do, you should do it. After all, we only live once. Going to the doctor only after you fall sick is something you did in school and college. As adults, schedule health checkups with your doctor. These are necessary, and whilst you’re at it, maybe investing in a health insurance is a really good idea. In fact, the adult in you is probably nodding their head reading this and making a mental note to get a health insurance as soon as possible. Believe me, it is important. 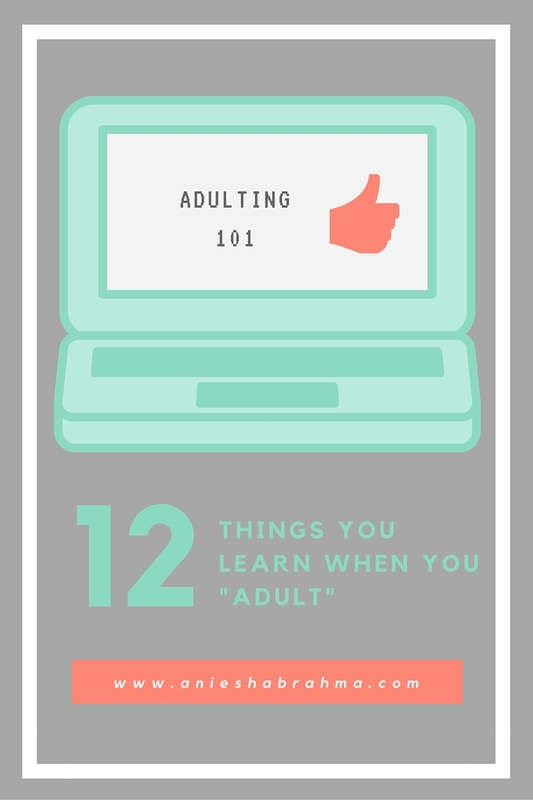 12.No one truly grows up. They just learn to behave in public. And here’s the deepest secret no one knows. There are times when we panic and look around for an adult. Of course we know we are an adult but we just want someone who has been an adult longer than we have. The truth is, no one us every truly grow up. We just master the art of getting by and behaving in public. There you go. In my experience of being an adult for the last eight years, these are the twelve things I came to know. Did I miss anything out? 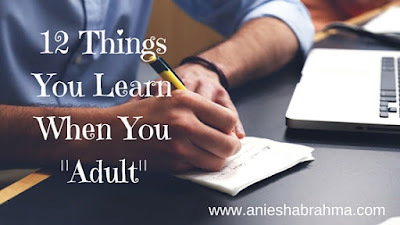 What did you learn when you began to navigate through the turbulent waters of being an adult?